A relocation demands a great deal of time, energy and communication. To keep on schedule, people and companies often move forward without taking the time to thoroughly assess and evaluate all information and aspects of the process. Q. How long before my moving date should I begin looking for a new home? A. From the time the property is first discovered to the time the keys are in your hand it´s generally about 30 to 45 days. Depending on when you need to move, you may decide to find a home in one quick trip or revisit certain areas several times before you find the perfect home. If you are planning on renting, it may take less time to find a home and move in. We recommend you start your search on the Internet at least 90 days before your intended move date. Q. How do I find out which communities have the best schools? A. Every family has a different perception of what constitutes a good school and what programs may meet their own children´s needs. We provide resources for obtaining current school information and statistics. Most state websites are useful sources of school information, but it is a good idea to meet with school officials to determine which school system your children will thrive in. As a certified relocation experts, we provide individual counseling to help determine which school district is best for your family. Q. How do I determine how much I can afford when looking for a new home? A. As a general rule and dependent on your debt-to-income ratio, the monthly payment for mortgage principal, interest, property taxes, and property insurance should not exceed 33 percent of your gross monthly income. 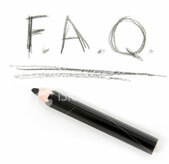 Q. H ow will I know that I’m not overpaying for my home in my new location? A. Before actually writing the contract for your new home, we will provide you with a list of neighborhood comparables sales and use this information in assisting you determine the differences between the home you’re interested in and the others that have already sold. This way the basis of where to begin the negotiations with the seller is clearly presented. Q. How will the cost of living in my new community differ from where I currently live? A. Our relocation package includes a host of information about schools, cultural attractions, and recreational opportunities, local maps and community information. This is available as a download from our web site or can be mailed as a CD. Q. What services do you provide for people relocating overseas? A. We have the resources to help your family relocate and adjust to another country by providing guidance in obtaining tax identification numbers, opening bank accounts, and enrolling your children in schools. Our network resources can also connect you with counseling to lessen any problems employees and family members may encounter while adjusting to a new culture. Q. What is the best way to cover an employee's relocation expenses: lump sum payment or direct reimbursement? A. Each has its own advantages, depending on whether the employee or the hiring company prefers to take on more responsibility. A lump sum payment will reduce internal administrative functions by providing the relocating employee with funds to directly manage and pay expenses. Direct reimbursement, on the other hand, brings more precise documentation and alleviates the employee´s responsibility for handling these tasks single handedly. Q. Corporate Relocation - What are my relocation benefits? A. Be sure to review your company’s relocation policies before getting too far into the process. Although we are very familiar with the relocation process, every company’s relocation policy is different. It’s important to know what your company is offering you in the way of benefits so that you take advantage of your entire Relocation package. There may also be some costly consequences if you do not follow your company’s requirements. Some employers or relocation companies may want you to work with a particular company when you buy or sell a home. They want to be sure that you are working with an agent who is trained in the relocation process. Rest assured we understand the relocation process and we want to do everything possible to make your move as stress-free as possible. Many companies will also allow you to choose the company or agent as long as they follow your company’s relocation policies. Maine Home Connection works with most relocation companies. Be sure to let your employer know you are working with us. If there’s ever a question, just have your company contact us directly to discuss the details. As you begin your property search we can easily correspond by email, text and phone. It is our job to make sure you have enough information about schools, sub-divisions, neighborhoods, local market conditions and culture so that you feel comfortable and confident in making a real estate decision.